@ Andrea: The man is stirring and making a froth with a ladel. THANK YOU all for your comments on yesterday's pic of the tailor. Nice :) Sometimes, breakfast can be a chemistry experiment too. Looks like a fun guy to cook with. Wonderful shot. I like that the implement (strainer?) is in motion. 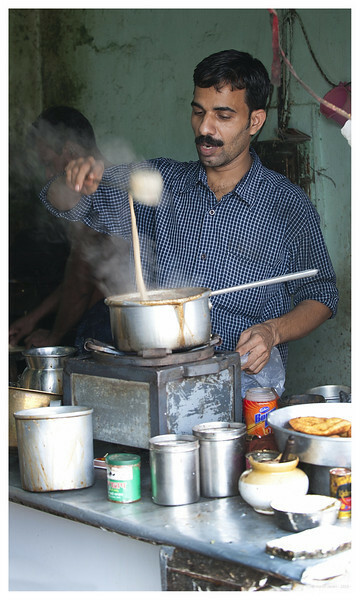 Love the street Chai in India. Very nicely captured here. Great candit! Nice, nice, nice! Wonderful shot...love the candid nature of the shot..the steam off the hot tea and the composition of the whole image!